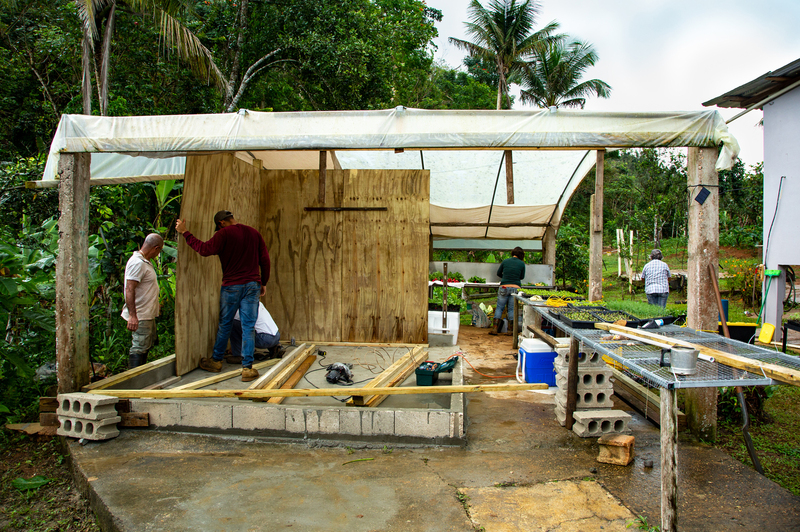 A year and a half after Hurricane María struck the island, grants from World Central Kitchen are helping dozens of small farmers start fresh. Just a few days after Hurricane María devastated Puerto Rico in September 2017, Chef José Andrés and his nonprofit organization, World Central Kitchen (WCK), were on the ground feeding people. Andrés founded WCK in 2010 in response to the earthquake in Haiti, and the group has consistently followed its mission: get to vulnerable populations and start feeding people with no delay. Since 2010, they have served survivors of natural disasters—including earthquakes and hurricanes—as well as man-made ones—such as Central American migrants waiting in limbo in Tijuana or the humanitarian crisis in Venezuela. After serving more than 3.7 million meals in nine months from 26 sites across Puerto Rico, WCK closed its kitchens in June of 2018. 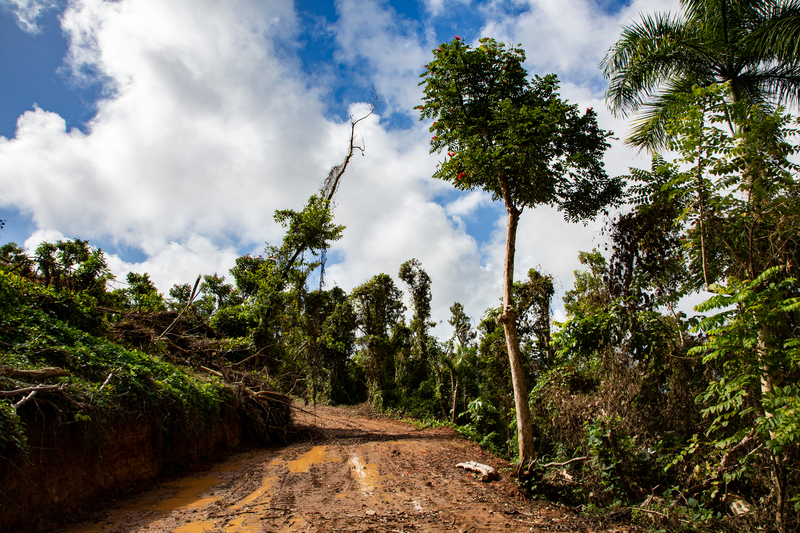 Knowing how much work remained for the island’s recovery, WCK sought ways to continue to help the food-insecure island in a sustainable way. They started by asking the island’s farmers—who had been providing WCK with much of their food—how they could help. Plow to Plate is a grant program born of these conversations. The grant program, developed by WCK in partnership with these farmers, provides grants in the range of $5,000 to $20,000 to speed their recovery from Hurricane María—and to make their farm-plan wish-lists come true for first time applicants, and grants of up to $40,000 for second time applicants. 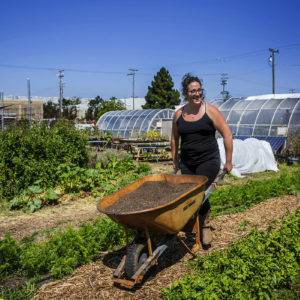 In the first round of grants, 35 farms and community organizations received a total of $547,000 to build projects including cold storage, high tunnels, composting operations, and purchasing seeds and tools. 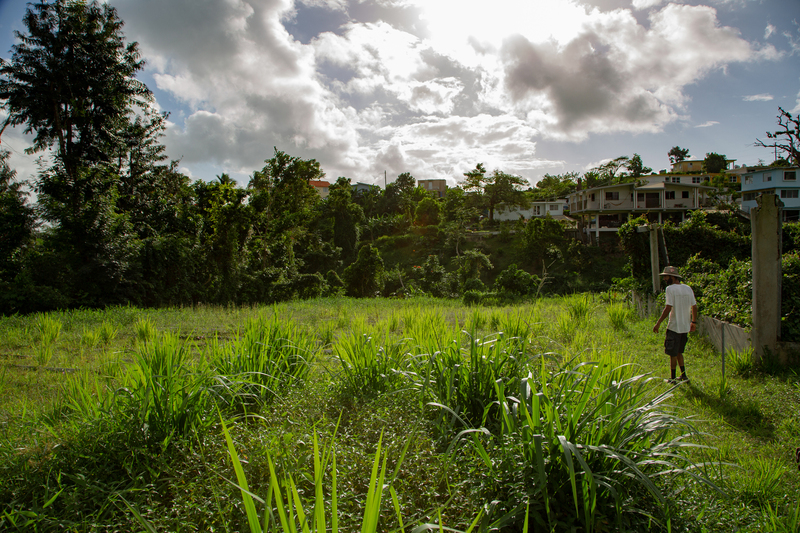 Support to rebuild—and improve—the island’s sustainable food infrastructure has never been more important. Even before Hurricane María, food insecurity in Puerto Rico was an issue, with 18 percent of residents facing food insecurity, and 1.4 million, or approximately 44 percent of the population receiving NAP food assistance from the U.S. government. Puerto Rico imports between 85 and 95 percent of what they consume, depending on who you ask; and the inefficiencies of the Jones Act—which requires food shipped between U.S. ports (in this case, between the mainland and Puerto Rico) to be American-owned and -operated—means that when food finally reaches the island, it is often expensive and not fresh. WCK’s Plow to Plate program is designed to support the small farmers, preferably with a focus on agroecological and sustainable methods, who have been working for years to address the need for fresh, healthy, and affordable food in Puerto Rico. By 2023, WCK’s goal is to offer grants to 200 farms, distributing a total of $4 million to strengthen Puerto Rico’s farm economy. In addition to helping farmers sustain and expand their operations, Plow to Plate grants are building communication, community, and knowledge-sharing among the farmers it supports: grant recipients are required to participate in at least three workshops per year. 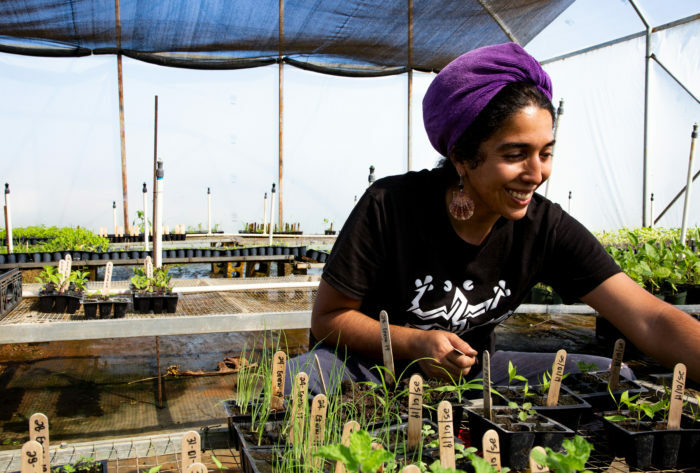 On an island where farmers rarely know each other, sharing knowledge and advice is a necessary way for small, agroecological farmers to thrive. 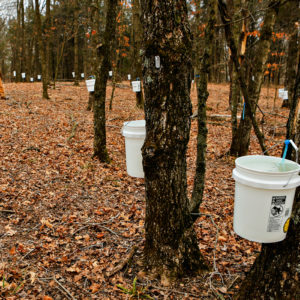 In January 2019, the first round of grant recipients began to receive their money. 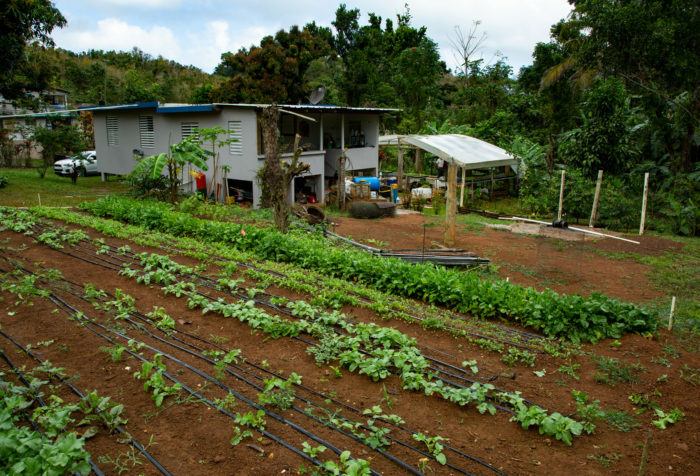 Below, we tell the story of a few of the many promising projects at work in building Puerto Rico’s food sovereignty. All photos © Lindsay Talley; click images for larger versions. Once this field is planted, Marcano’s goal is to turn the smaller area of raised beds on his property into a teaching garden. 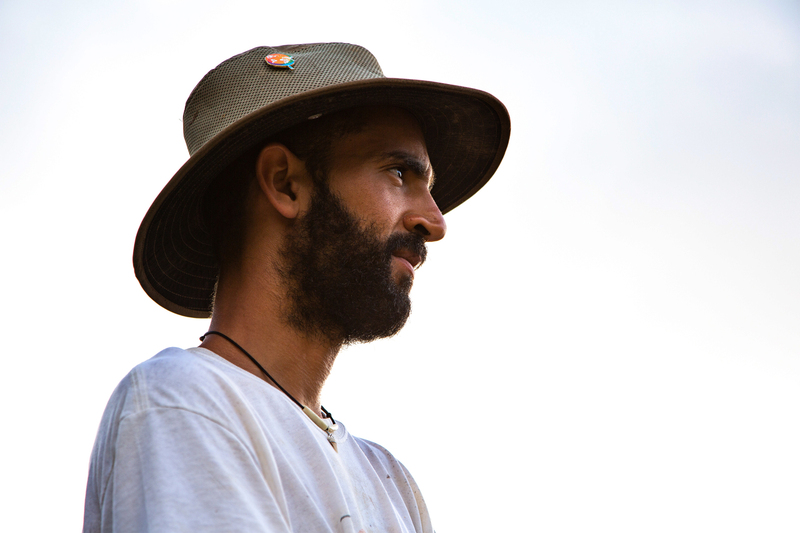 When he started his small farm, he had a difficult time finding information about small-scale farming, and he wants to make it easier for other farmers in Puerto Rico to learn. Plow to Plate funds will help Cosechas Tierra Viva create a health department-compliant produce packing area complete with cold storage. When Richelle Van Dusen and her partner, Dallas Tate, were planning their vacation to Puerto Rico, they knew they wanted to volunteer somewhere for a day. They reached out to World Central Kitchen’s Puerto Rico team, who coordinated a visit to ARECMA, where they helped farmer Jose Soto for the day. Pictured above: Van Dusen and Tate. ARECMA’s Plow to Plate grant money will be used for several different projects on the farm, including building a greenhouse in the cleared space pictured. 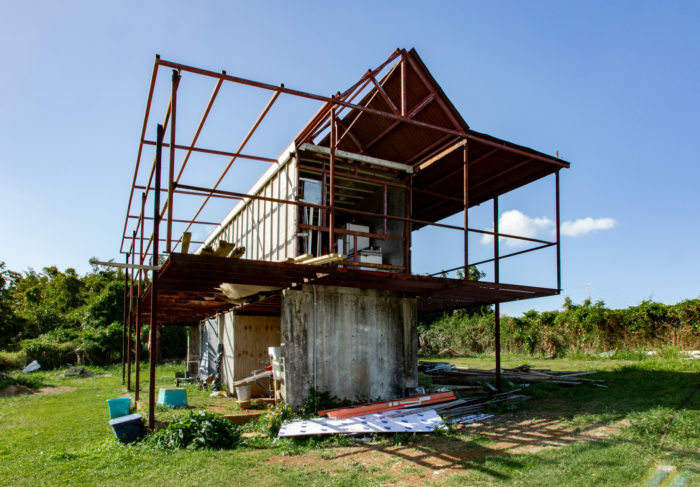 ARECMA is a non-profit community organization in Humaco, Puerto Rico, whose mission is “to work and ensure the welfare and integral development of the neighborhood and its people.” As part of their efforts, the group cooks low-cost lunches for people in the community each day. Pictured above: Margarita stands ready at the sales window for the steady stream of lunchtime customers. Desde Mi Huerto is the only farm in Puerto Rico dedicated to growing organic seeds to sell to both farmers and home gardeners on the island. 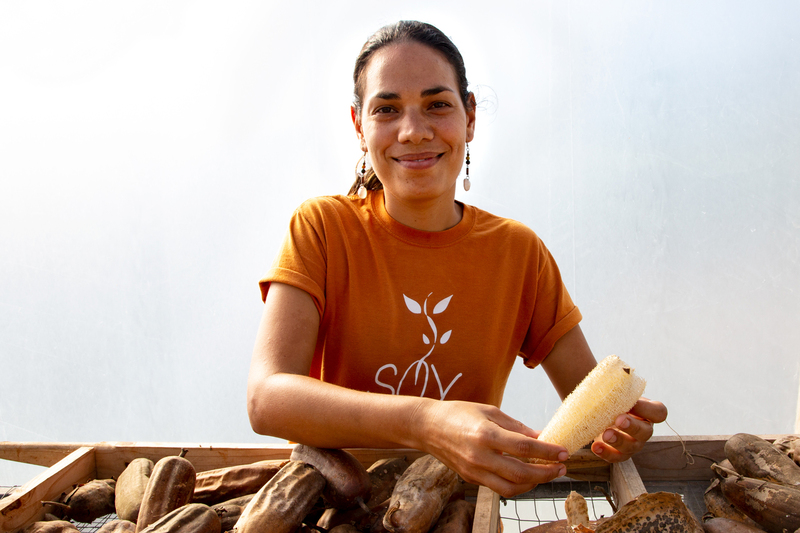 Pictured: Co-founder Ivonne Reverón demonstrates how to remove seeds from a luffa, part of the cucurbit family. The Plow to Plate grant for Desde Mi Huerto will be used to build out this structure into a kitchen. Alexandra Robles, a Desde Mi Huerto employee, transplants seedlings in the greenhouse. 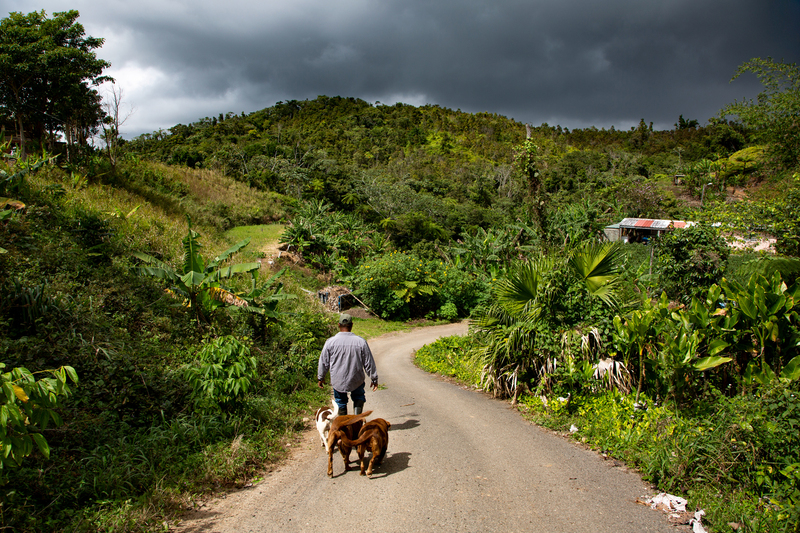 Alfonso Díaz, owner of F&A, walks with his dogs on the private road that winds through his farm in Utuado. The visible rain clouds are typical here in central Puerto Rico, even now, when much of the island is in a drought. 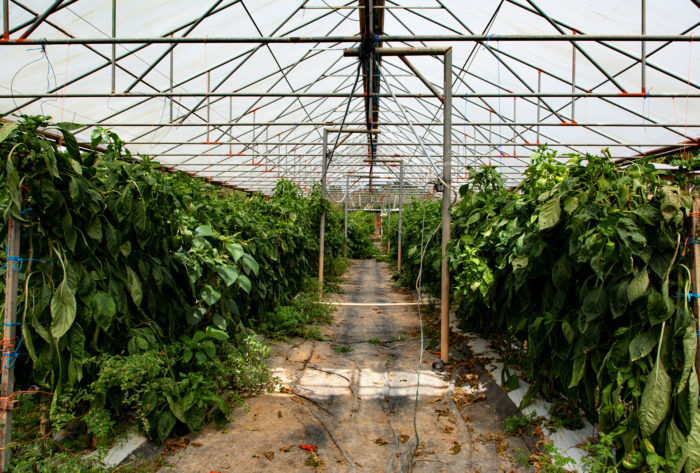 Most of the heat-loving crops Díaz grows to sell wholesale to major retailers on the island, like Econo Supermercado, prefer drier soil, so he grows them under a protective canopy to enable him to control how much water they receive. He will use his Plow to Plate funds to build more canopy structures, like this one, on his farm. Alfonso inspects damage to a pepper from a thrip infestation. 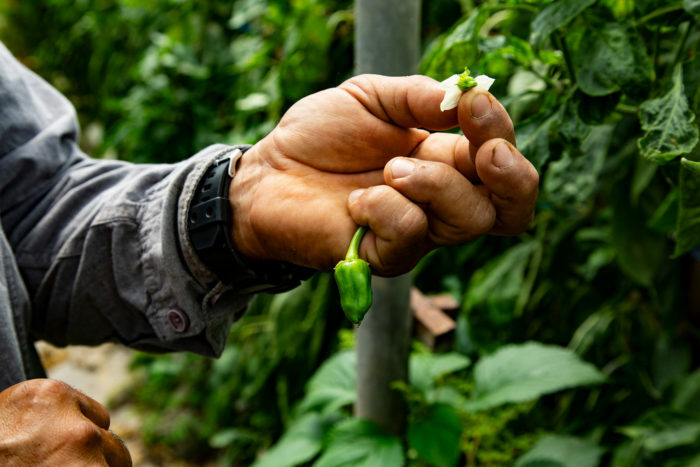 As an agroecological farmer, rather than spray chemicals to kill the insects, he feels he’s been able to harvest enough peppers from these plants, and will tear them out and replant another crop in this space to eliminate the pests. 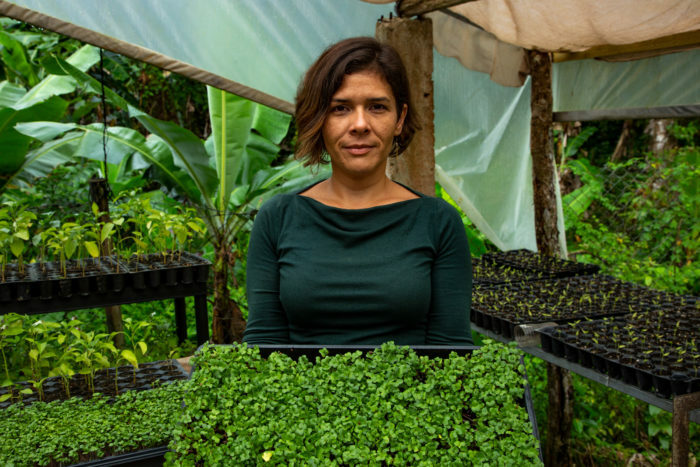 La Microfinca gets its name from its first iteration as microgreens garden started in Tadilka Rivera’s San Juan apartment. After Hurricane María, Rivera was laid off from her job, and jumped at the opportunity to take over family land in Camuy in northwest Puerto Rico to start a suburban farm. Now more of a mini farm than a micro farm, La Microfinca produces greens and root crops to sell at farmers’ markets, restaurants, and CSAs. Rivera is using her Plow to Plate grant to build cold storage for crops she harvests—a necessity in this subtropical climate. Pictured here, Rivera’s uncle, father, and farm helper begin construction of the cold storage unit. Once the room is built with plywood, it will be insulated with foam, and an air-conditioning unit will keep the space cool. In the background, Rivera packs radishes while her stepmother cleans them. How can we help? Is traveling to Puerto Rico an option? He is an awful person. So sorry... how can I make my small donation? We had the privilege of being placed as volunteers at Desde Mi Huerto for a day and learned so much about heirloom seeds from Ivonne and her small and enterprising team. WCK and Plows to Plates is visionary in the work that is being done to address food scarcity, and we just new that we had to get involved! Great organization, and thank you for putting a spotlight on it in this article. saludos. Tengo una pequeña finca de 2 crd. Antes de Maria habia empezado con mi esposo un sueño,siembra de cacao con un prestamo pequeño. Perdimos lo q sembramos y unos arboles ď cafe q ya estaban. 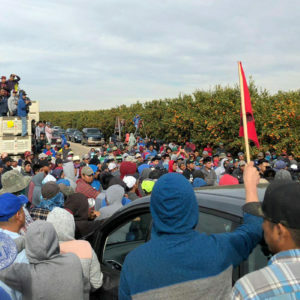 Comenzamos de nuevo mas lento x q no tenia dinero y sin trabajo, luego consegui trabajo como asistente d head start, la paga es el minimo pero es lo q hay. Estamos haciendo viveros de cacao, china, guanabana y pana; no me caben en el terreno quiero expandirme, pero la burocracia y la posicion economica no me ayudan. Tienen algun conocimiento de como me puedan ayudar. Gracias. es la aplicación para Plow to Plate. Puerto Rico se levanta! Buena suerte! Hi; few weeks ago we filed the survey for assistance. Dud you already received the survey? Saludos: completamos la informacion online.